Free dirt! And Free Delivery! 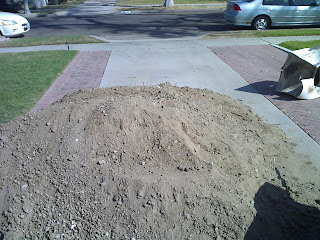 So this morning, I was up early awaiting the delivery of free dirt to my driveway. 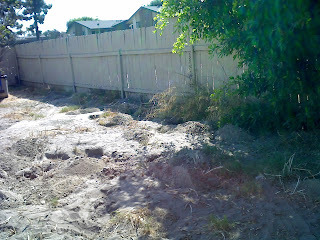 I asked for four yards of dirt, hoping to fill up all the crazy holes in the backyard. These pictures do not do it justice. 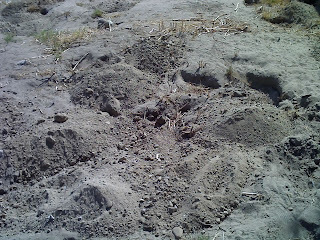 This pile of dirt is much much more than it seems in the pictures. If you compare it to the size of the lawn behind it, then maybe you just might get an idea of how big this pile really is. This entry was posted in backyard long haul. 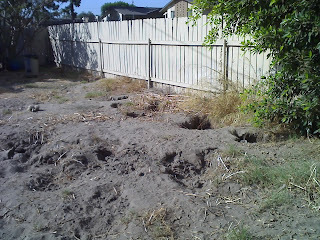 and tagged backyard, craigslist bargain, digging, free dirt, gophers. Because, there isn’t enough space to drive the truck into the backyard to dump the dirt. 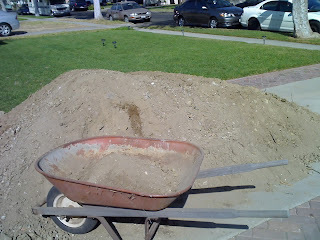 They have to dump the dirt in the driveway and I had to wheelbarrow it to the backyard. 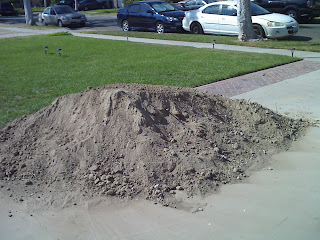 Why didn’t they deliver the dirt to the backyard?? ?